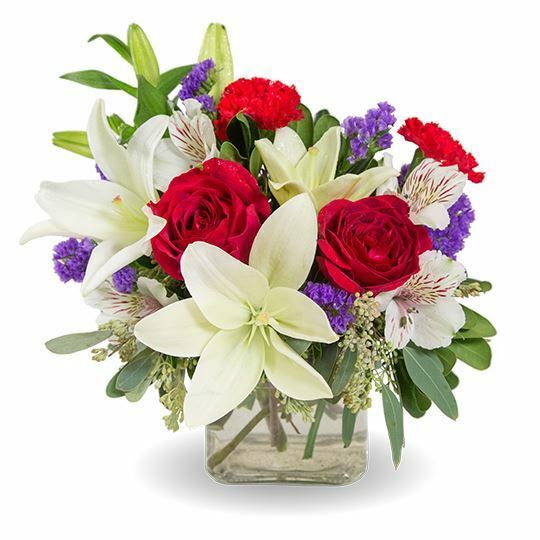 A modern cube is filled with white Asiatic lilies, red roses, white alstroemeria, red carnations, purple statice, and textured greenery for a classic look. These looked and smelled amazing. I am so happy with the way these turned out! So wonderfully beautiful! I loved them! I could not be happier with the way these turned out, thank you for making this so easy. This was the perfect gift to send. Not too big, but still so pretty and thoughtful. I was amazed at how great these looked in person! I am so thrilled with the way these turned out, I had never ordered flowers online but I would definitely do it again. I love how easy these were to order and send!! It was so hard to choose between all of the beautiful flowers, but these were perfect. The variety of flowers in this arrangement was so pretty. I was very impressed with the way these flowers turned out. My family and I were so happy with the way these looked on our memorial table! The perfect size!! Even ordering the premium, it wasn't too big. Thank you for making ordering so easy!! I am so happy with these! They were amazing. Very pretty, would order from here again. 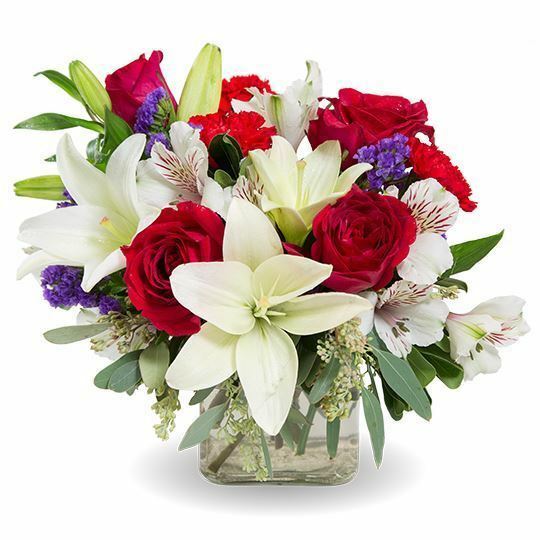 The flowers were so fresh when delivered, I was very happy about that. I couldn't believe how great these looked when I saw them, they looked just like the photo online. Really glad I ordered these, they turned out great. I went with this arrangment because it was a cheaper option, but it certainly did not look cheap. Very happy with the way they looked. So glad I decided on these, but it was difficult!! I couldn't have imagined a more perfect arrangement for my grandma. These were almost all of her favorite flowers, and I remember seeing almost every single one in her garden at some point. Easy to order and they looked so good! I will definitely order from here again, this site made it so hassle-free! 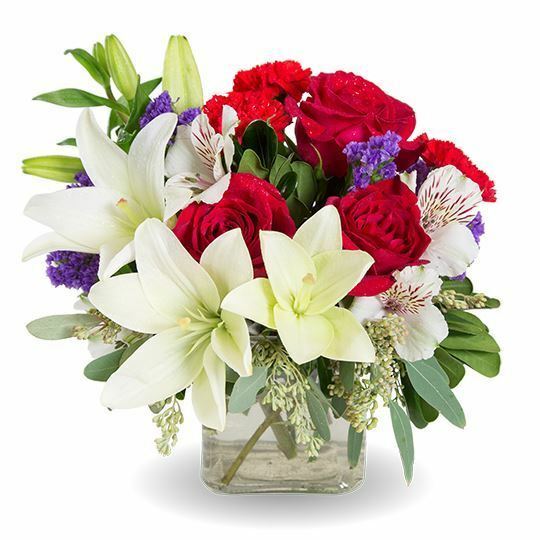 What a wonderful arrangement! Very happy with it. I am very happy with how these looked, thank you. So pretty, and smelled amazing too!